Mulberry 4-Gang Standard size wallplate features 430 stainless steel construction and satin finish. 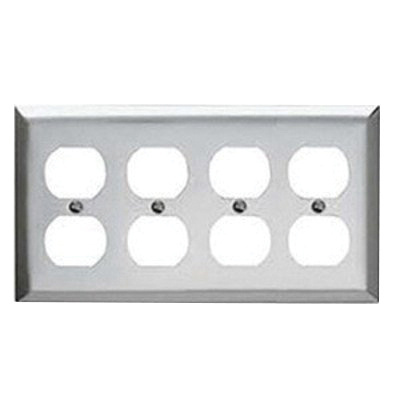 This rectangle wallplate measures 8.187-Inch x 4.5-Inch x 0.035-Inch. It has four duplex receptacle configuration. Wallplate is UL listed.